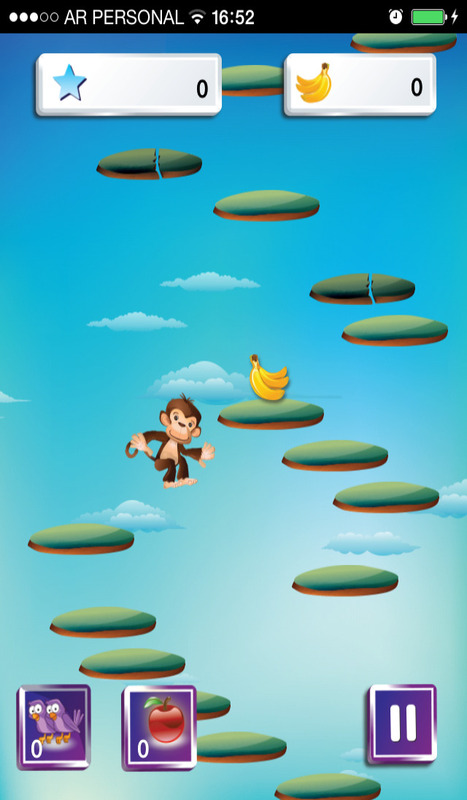 Play Mojo best game ever - Monkey Jump Today!!! greats like Doodle Jump or Froggy Jump then you could not be more wrong. going to Go Bananas over this game!!! the sky, collecting bananas while avoiding obstacles and hidden dangers. Monkey Jump!, LIVE in the App Store, TODAY!